Enjoy the multitude of blooms produced by each individual plant! 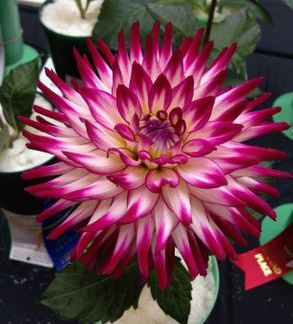 When purchasing a dahlia tuber, make sure you check that the tuber is firm, it should be hard. The other thing to make sure is that the tuber has formed an eye or shoots starting at the head of the tuber. 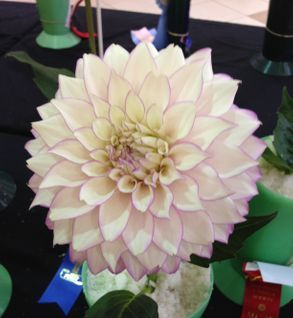 Plant your dahlia tubers in the beginning of May or when the soil is warm and the risk of frost has passed. Prepare your soil a few weeks prior to planting. Apply a low nitrogen fertilizer, such as 4-10-10. As soon as the fertilizer is applied till it in to the soil. 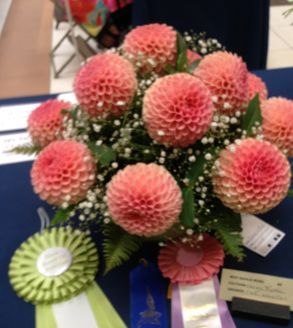 Dahlias like soil with a PH level of 6 to 6.9. Do not fertilize until the growth is about 12 inches high. Full sun or part shade with little wind is more optimal in choosing the location in your garden to grow your dahlias. 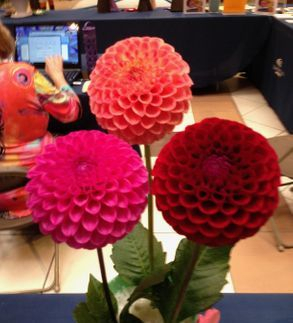 To support the height of your dahlias staking is important! Make sure you plant your tubers approximately 16 inches apart to allow for air circulation. Dig a hole 6x6x4 inches. Place a stake at one end of the hole. Put the eye end of the tuber near the stake so when it grows taller, it can be tied to the stake for support when windy or raining. You can dig a hole on the other side of the stake and plant a second tuber of the same variety or another. When placing the tuber in the hole, make sure it is on a 45 degree angle and the shoot is pointing up. Cover the bottom end of the tuber with soil up to just a small amount near the shoot. Fill in the hole with soil as the plant grows until the soil is level with the ground surrounding the plant. When the shoot is just coming out of the soil, put a small amount of nitrogen around the plant to detour slugs or snails. 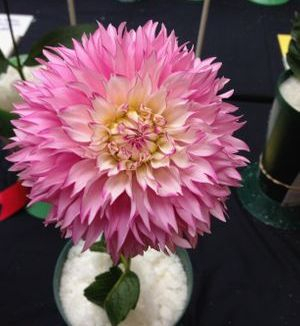 As your dahlias grow, it is important to pinch out the top growing sections of the leaf set when the plant gets 3 to 4 sets of leaves for the large varieties, and 6 to 8 sets of leaves for the smaller varieties. This forces the laterals to grow and the plant to become bushy with lots of blooms. It is time to fertilize approximately the middle of July. Give the plants an application of 0-0-45, this will enhance bright flowers and strong stems. Then 0-45-0 about Labour Day as this will help fortify the tubers for winter storage. Now the plants are growing well, the plant is producing buds. It’s time to pinch out the two side buds of the three combination that is produced at the end of the stem. This pinching out will ensure the bud will reach its potential size. 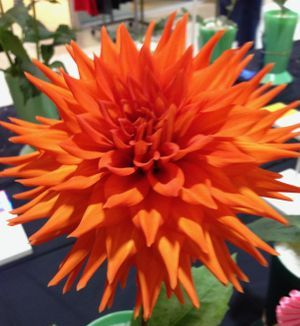 If growing large sized dahlias, pinch out the buds growing further down the stock at least 3 sets of leaves. You will get fewer flowers but they will be the size that is expected when first introduced for people’s enjoyment. Remember to cut off dead flower heads. This also helps the plant to direct its energy to the new buds forming. Earwigs love dahlias. Soup cans or something of the same size can be used to put damp newspaper into as this will attract the earwigs and keep them from hiding in your dahlias. Empty the cans each morning and burn the papers. Replace with new papers.